For those interested in watching the individual pipers and drummers compete, be sure to arrive as soon as the gates open at 9 am because the individual competitors start early. As the pipe bands compete in the band competition area you will notice a few people standing around the band circle. These are certified judges or apprentice judges who are being supervised by a certified judge. Bands are classified by their playing ability and winning record. They will compete against other bands in their class. As the competition season progresses points are awarded based upon the bands standing at each sanctioned competition that the band has competed. At the end of the season the points for each competing band are compared and the band with the highest points are declared season champions in their class. There are several Bands in the South Florida area. If you are interested in learning to be a pipe band piper or drummer, most of the bands will welcome you and some have a student level program. Interested in Learning the Bagpipes or Scottish Drum? 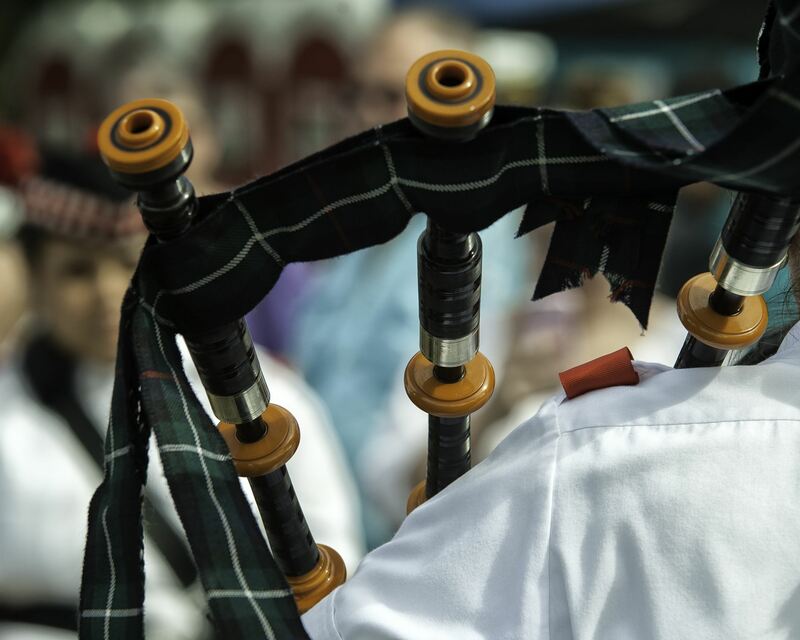 Our local pipebands welcome beginners to their weekly practice sessions and provide instruction. St. Andrew's Bagpipe Band of Miami meets on Thursdays from 6:30pm to 9:30pm at Crossbridge Church, Miami Springs, 301 Westward Drive. Pipers and Drummers of any level are welcome. If you're interested in learning to play the Bagpipes or Scottish Drums, free lessons are provided between 6:30pm and 7.30pm at St. Andrew's band practice. For more information on how to join the Band, learn to play, or march in the color guard contact Pipe Major Nigel MacDonald at (786) 205-5350 or (954) 476-5559. 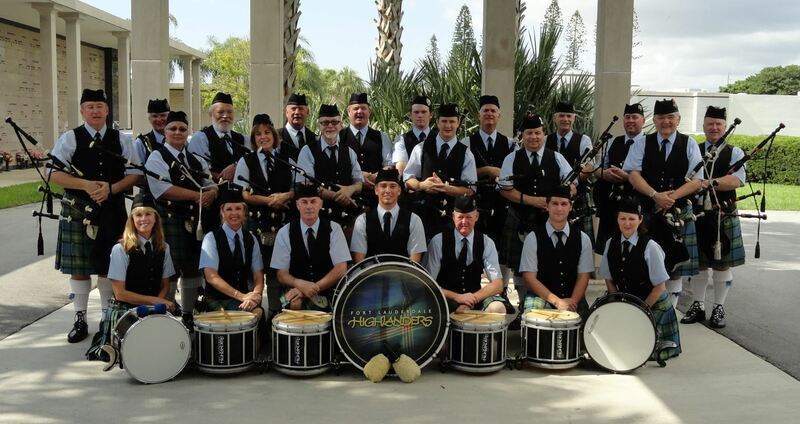 The Fort Lauderdale Highlanders Pipeband welcomes those having a personal interest and those with a desire to express their talents in a group environment. Instruments used in the band currently consist of the Great Highland Bagpipe, the Bass drum, Tenor drum and Snare drum. The Band practices on Thursday nights at the Plantation Presbyterian Church 901 NW 70th Ave, Plantation, FL 33317. From 6:00-7:00: individual piping/chanter instruction and pipe tuning ; 7:00-8:00: drum pad instruction and band chanter practice. Please contact Pipe Major Bill McFarlane for more details (954-471-2540). 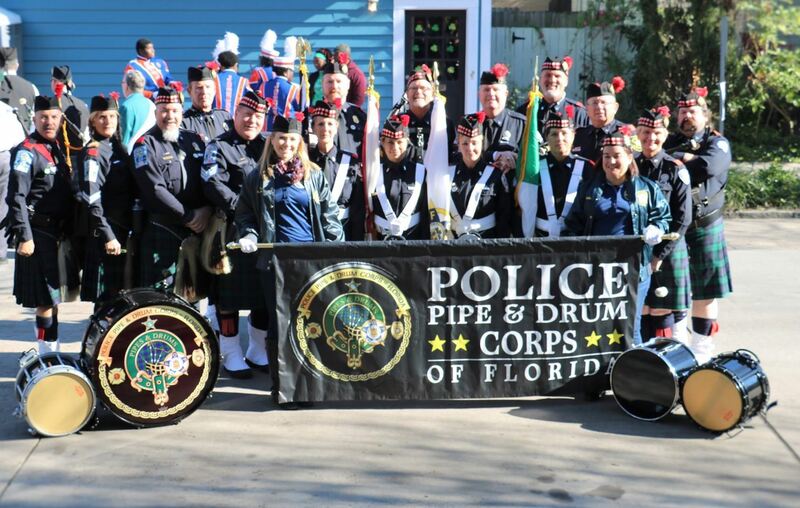 The Fraternal Order of Police, District Five, Police Pipe & Drum Corps of Florida, was founded in 1990. The Band and Color Guard is presently comprised of 51 serving and retired police officers, fire fighters and civilians, all volunteers.